for acceptances into elite colleges and universities. museums, attending shows, shopping on 5th Avenue, or taking in the sights. Students are encouraged to “get involved” with the community through the arts, sports or club activities. Our English as a Second Language (ESL) program helps acclimate each student to the school and each class. The ESL teacher provides any additional accommodations needed to help each student succeed. The ESL Program at Morris Catholic bridges the English and World Languages Departments. Students who are non-English or limited-English speakers are provided with a transitional language program. On average, students spend two to three years in the ESL program, progressing through beginning, intermediate, and advanced levels. The ESL program has courses in English language development and academic preparation as well as courses in the mainstream, which have been modified to meet the needs of the ESL students. Students who will be successful in our ESL Program are identified through the admissions process. Morris Catholic will assist international students in the student visa application process. Prospective ESL students wishing to enroll at MCHS are required to take an assessment test that centers on reading, writing, and speaking. A student’s previous school system, his/her past school records, and teachers’ comments, if available, will also be part of the criteria for admissions. There is an additional annual fee for ESL students. The Host Family is an integral part of the International Program. Our host families are responsible for providing a safe and welcoming homes for our international students. 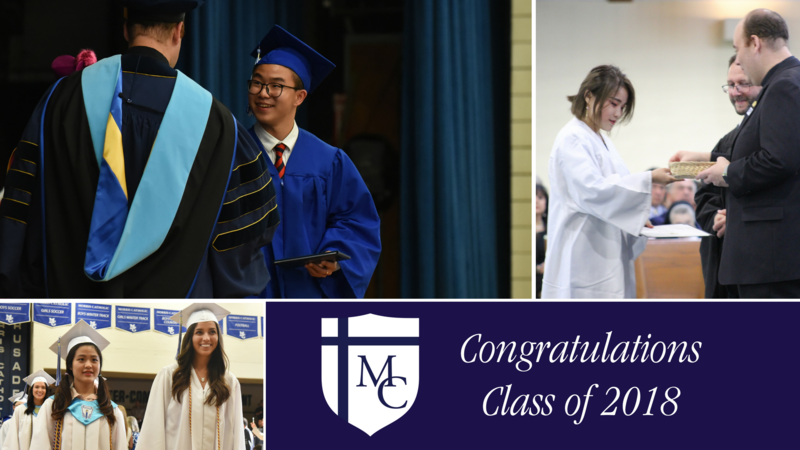 Host families do not have to have children at Morris Catholic, but they will quickly become part of the Morris Catholic family through their involvement in this program. All host families receive a monthly stipend to help them provide a home for the student. Prospective host families undergo an application process and preparation meetings to help them feel ready to welcome their new family member. Become a host family for an international student. Visit https://www.thecambridgenetwork.com/services/host-an-international-student/ for more details.